Case Managers are the backbone of modern day medicine, working the front-lines and serving as key liaisons between clinicians and patients. They are advocates, planners, health coaches, budgeters and educators who operate in the best interests of both the patient and the care facility. They are the ones with the most complete picture of a patient’s cognitive, physical, socioeconomic, and emotional condition. Because of this, Case Managers are often in a position to assess and predict a patient’s needs, and what services he or she may require even after discharge from a facility. 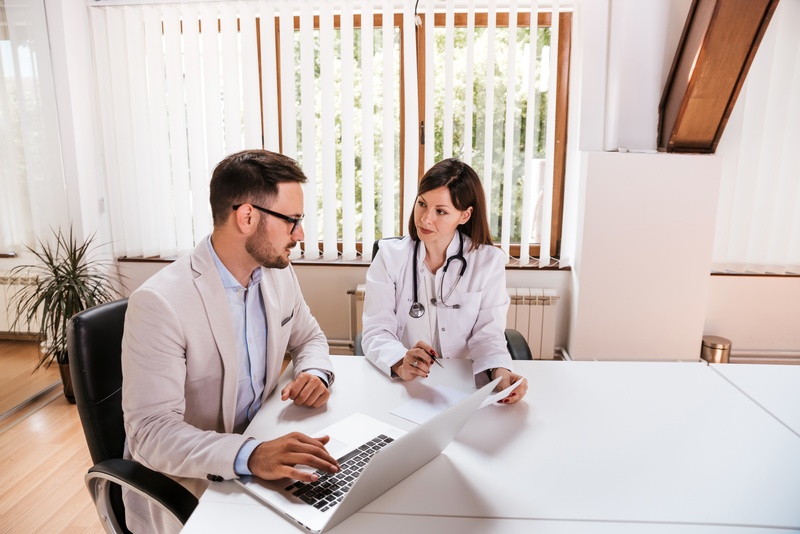 They may see that a patient wants to comply with his or her clinical program, but cannot due to environmental, socioeconomic, or behavioral factors. In fact, these “social determinants of health” make up over 80% of a person’s health outcomes. For example, a study found that 95% of diabetes patients intended to adhere to their course of treatment and attend all follow up appointments, but 50% anticipated that they would have trouble finding transportation required to do so. Lack of transportation is the third leading cause of missed medical appointments in the U.S. and a major reason patients fail to adhere to treatment plans. 2. Educate patients on their options, and how NEMT rides will happen — Find out what type of ride a patient needs -- whether Lyft, a door-to-door sedan service, or a wheelchair accessible van. Make sure the patient knows who is driving them, where to expect a pickup, and what time the vehicle will arrive. Ensure you have a way to know that the patient has been dropped off when and where they were supposed to go. 3. Consider on-demand transportation options — A Case Manager’s hands are tied when their health system is working with a transportation broker that requires 2-3 days notice before a patient ride can be facilitated. This is simply not good enough for patients who have a more urgent need to get to their healthcare facility. That’s why Case Managers should advocate for transportation platforms that can provide on-demand rides for patients, no matter the type of ride they need -- Lyft, door to door sedan, or wheelchair van. The Circulation platform is a HIPAA complaint, on-demand ride ordering exchange that Case Managers can use to order rides on behalf of patients, track those rides in real time, and measure impact on utilization. The platform also has built-in functionality to help case managers successfully administer transportation benefits so Case Managers can deliver better care while preventing excess spend. If you are a Case Manager with patients who frequently miss out on care because they face transportation challenges, Circulation can help. And it starts with scheduling a quick demo with an Account Specialist here at Circulation.